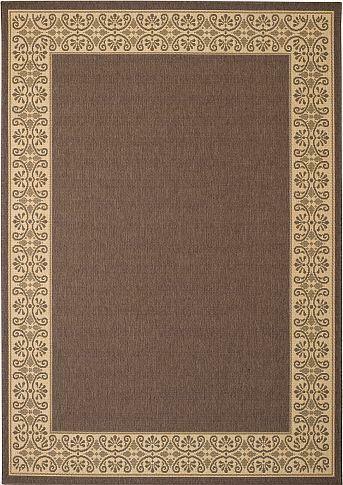 Each Solaria Dresden Outdoor Rug is machine woven with 100% Olefin and features the CapelBond non-skid ploymer backing for added stability. These rugs are made in France and measure 7ft 10in x 11ft. They are perfect for porches, verandas or busy areas of the house. Easy to clean, spills wipe away with a damp cloth and warm water.